The Duchy of Lancaster is strengthening the management of its rural estates, bringing the Cheshire and Staffordshire Surveys together and combining its Lancashire and Yorkshire Surveys. A single lead surveyor will take on the role of Managing Director for the Surveys working with the Head of Rural and members of the Duchy’s senior management team. 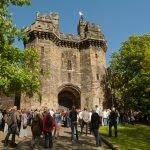 Paul Hutchinson of Savills will take over responsibility for Cheshire and Staffordshire, while the management of the Lancashire and Yorkshire Surveys will be led by an in-house team based at the Duchy’s new offices at Lancaster Castle. 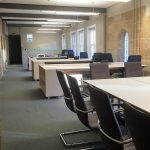 The latter will form part of a new Northern office for the Duchy which will include support staff and an expanded senior presence in Lancaster. Commenting on the new structure, Duchy CEO Nathan Thompson said: “It makes sense for us to consolidate the day-to-day management of our Surveys. 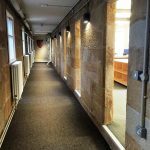 The two leads will be responsible for maintaining our relationships with our tenants and delivering our repair, maintenance and refurbishment programmes. We also have a number of development opportunities and environmental initiatives that we will be bringing forward in the next few years and it is important that we continue to maintain a common standard of excellence across the estates. The new organisational arrangements start with immediate effect and the Duchy is currently recruiting for an office administrator, rural accountant and assistant rural surveyor. 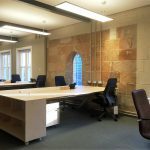 The new Northern office is expected to be fully staffed and operational by 1st November 2017.